At first: the X-Ring is driven by a One-Wire connection. When I ordered they had “ESP8266, Wemos d1 mini” in the title. The board also has a Wemos-Logo on it. But it is not compatible to Wemos D1 mini. The widths do not match! But you can easily mount an Wemos D1 mini to the board. 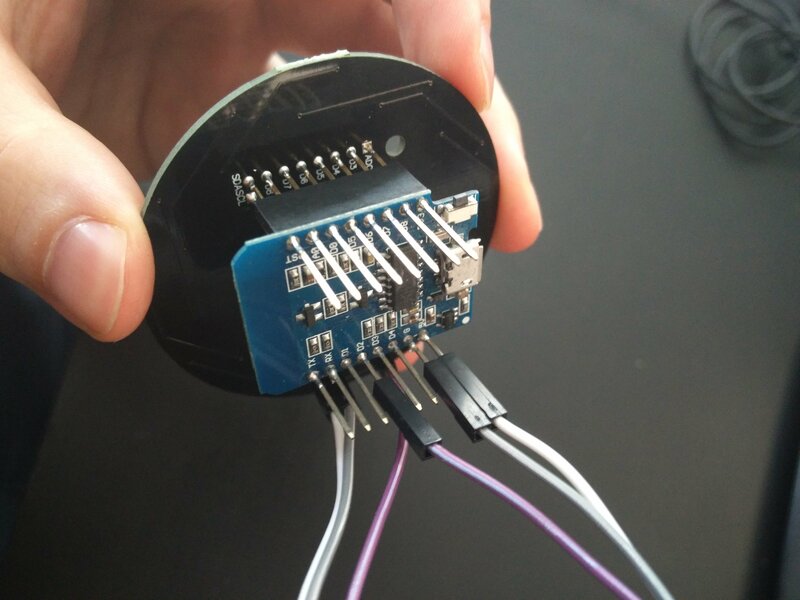 I decided to connect the wemos to the bottom left side because then you can connect the Wemos D1 mini easily with wires to the board (5V, GND). You can choose to connect the Wemos D1 mini to RXD or TXD then (doesn’t matter). 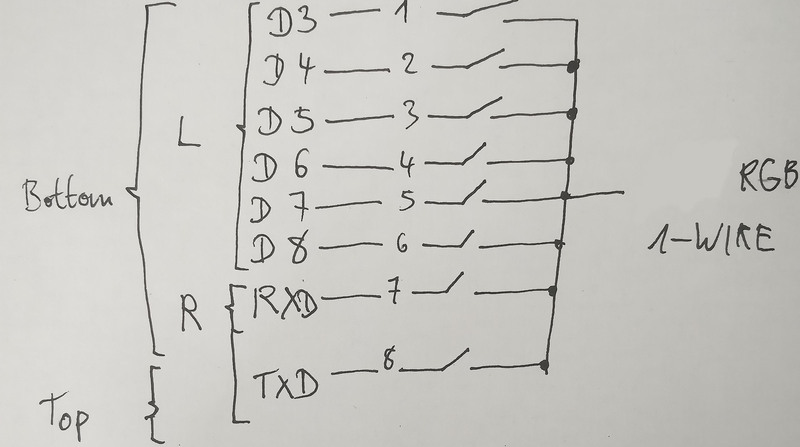 Basically all labels on the board are irrelevant for an Wemos D1 mini (except: 5V, GND) because it is not compatible. strip.setBrightness(25); // Lower brightness and save eyeballs! // for each pixel set color to red. Wait 100ms between each individual pixel. 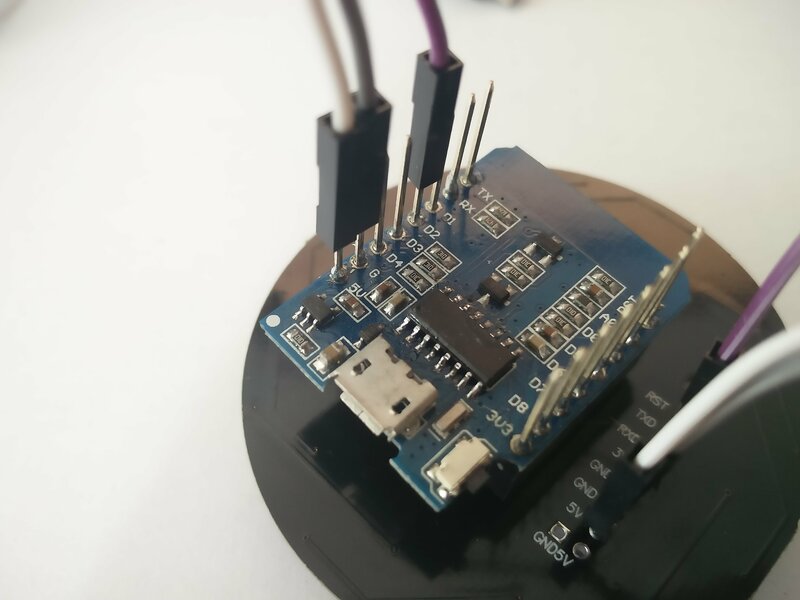 And develop your own application using the X-Ring. 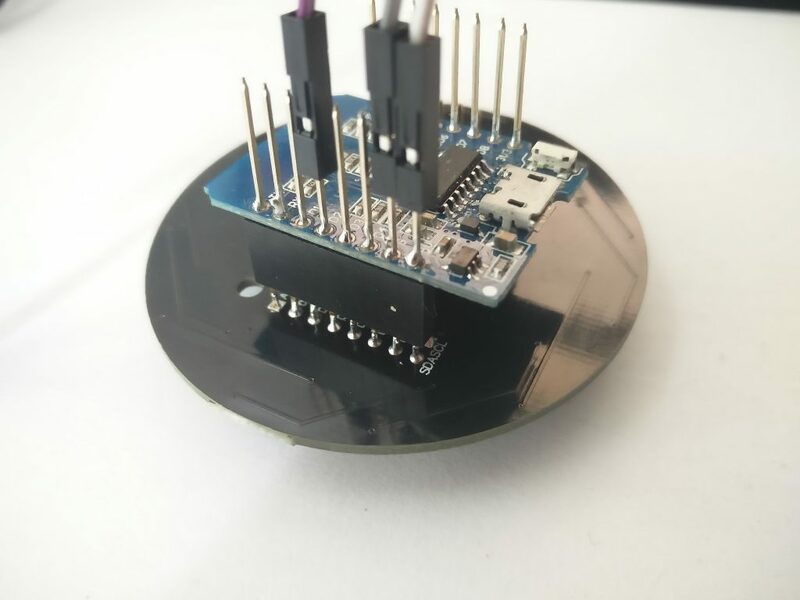 Hello, I’ve just purchased an X-ring in Aliexpress with an ESP32. Unfortunately the ESP32 has broken so I will use it for the time being with an ESP8266 Lolin. Could you please show some code on how to use the X-Ring? I guess I need to program the X-Ring with one cable and connect it to a ESP8266 pin (plus GND and 5v). Do I need to mess with the microswitches on the X-Ring? you need 3 Wires: Of course connect GND, 5V according to my pictures. You have to choose a pin for the 1-Wire signal (please look carefully to the pin illustration I have made). In my case I have enabled pin 7 on the switch – that’s the RXD labeled pin on the X-Ring board. On the ESP I chose D2. 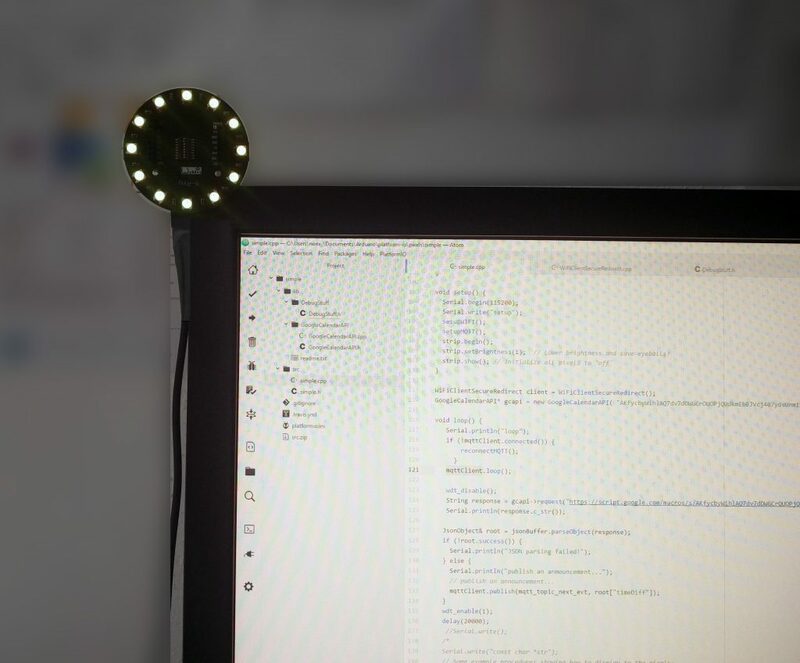 The code is really simple due the Adafruit_NeoPixel library. I have added a simple example to the post that should run out of the box if you follow the wiring on my pictures. I’ve just wanted to thank you for your amazing write-up. Thanks to you I had my x-ring running in no time. Hi Michal, thanks for your feedback! I’m really happy that it actually helps somebody. What are you going to develop with the X-Ring? But on my x-ring, I only get one LED to change color following your setup. All the other LEDS are bright white. Hi Bjorn, Miachel reported that the information helped him to setup the X-Ring and mine is working fine too. I can’t tell you what’s wrong. But if you get one LED to red the wiring should work. Maybe your X-Ring is broken and the LED after the first one are not connected to the bus properly. Please check the soldering to identify loose junctions. now i want to do the same with the x ring and change the color from it all from my phone. in the app i use (see second link) you set up twoo buttons, one for ON and one for OFF. in each button you place an url so if you would press the button it sends a signal to that url. the wemos board then know that he needs to swithc the relay. 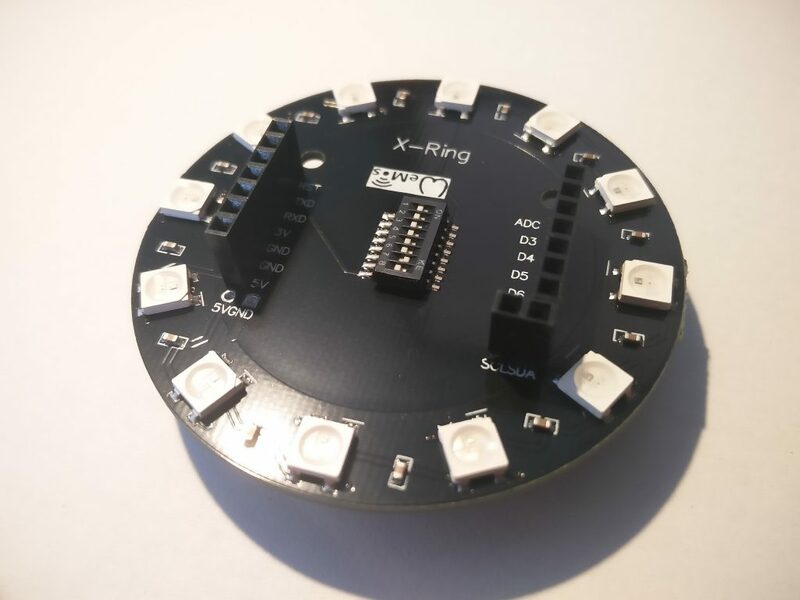 now i want to do the same thing with the xring but without a relay because the xring can be powered through the board. Hey Man great info… saved me a lot of time. Do you have any idea of the power requirements of this XRing ? Hi Martin, it’s just a WS2812B LED strip with max 0,06 A per segment ( the current dependents on color and brightness of course ). So max 0,72 A.